Twirl Skirt from Indietutes - This tutorial is very easy to follow. All you need is a few strips of fabric! 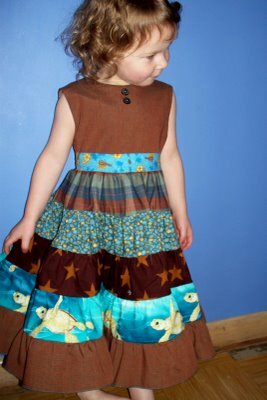 Twirly Skirt from House on Hill Road - Another simple tutorial using larger fabric swatches. Matching patchwork twirly skirts. 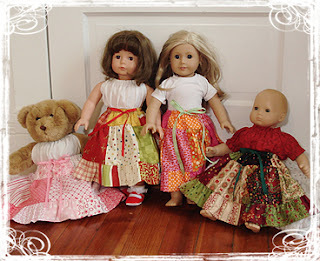 Follow the easy steps for a girl-sized skirt at Indietutes and for a doll-sized skirt at Twirls for Girls. It can fit an American Girl or similarly sized doll. Skirts from dishtowels from Grace Violet. 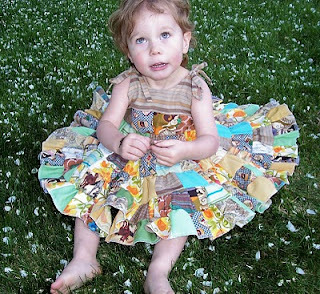 Solar dress - Super easy, super adjustable fluid dress from Indietutes. 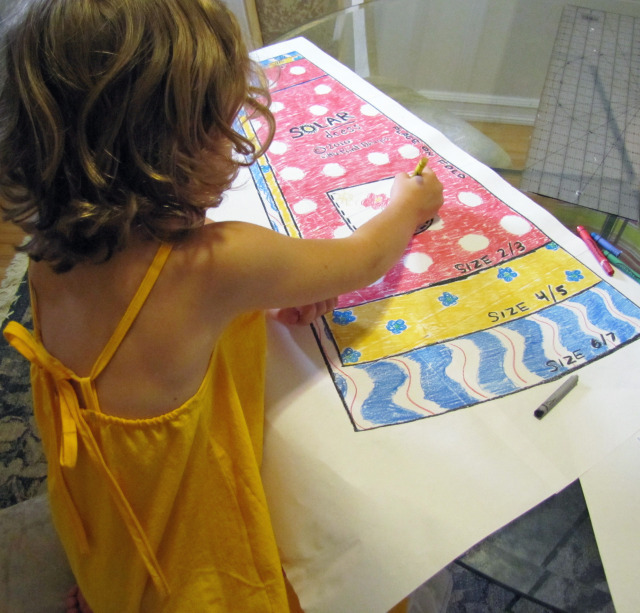 The delightful model is wearing the dress while coloring the pattern for the dress. For general resources for sewing for kids check out the tutorials at Whip up including this kimono wrap. Or try this highly rated book "Sewing Clothes Kids Love." very good , this skirts is looking beautiful and i like it ,its very useful for girls. @beebayonlineI'm so glad you found the collection useful! Isn't it wonderful there are so many talented folks who give us inspiration? !